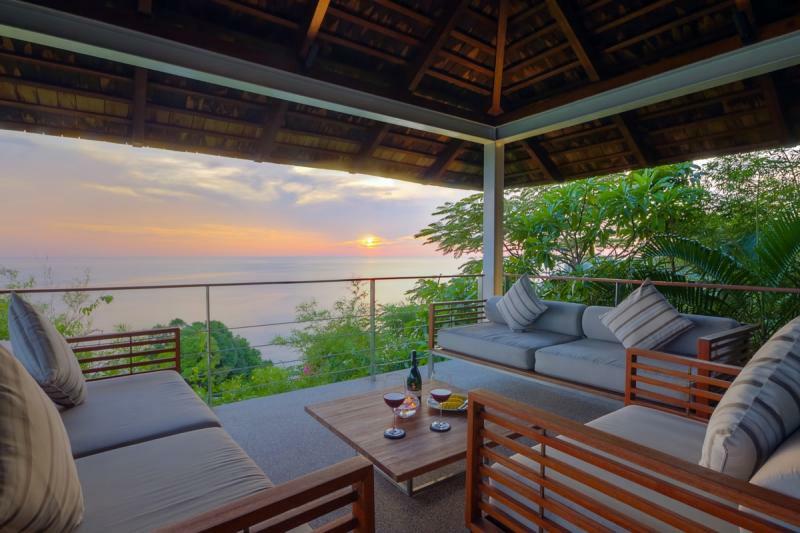 High-end luxury villa with 5 bedrooms and breathtaking sunset views for sale in Kamala, sitting on 3,000 m2 of prime sea view land. 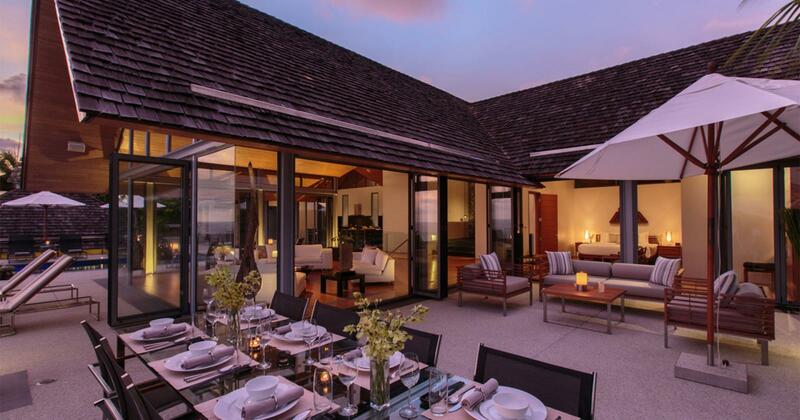 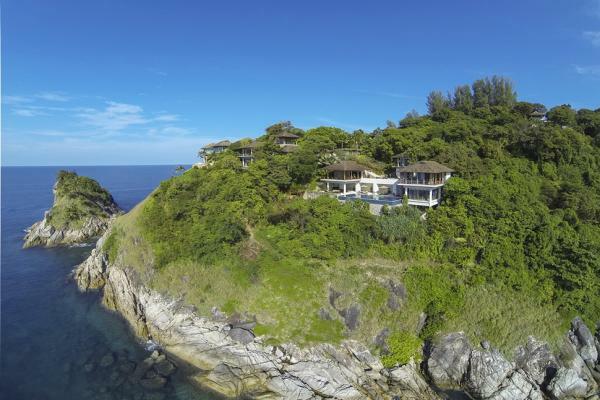 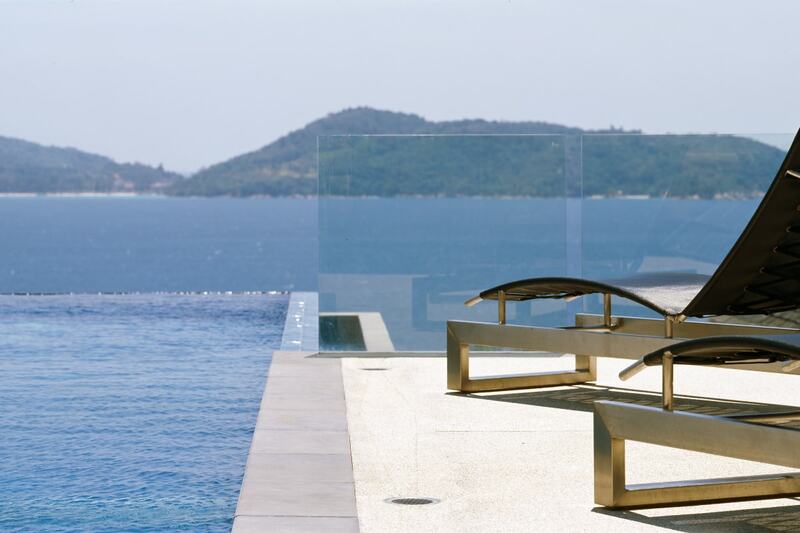 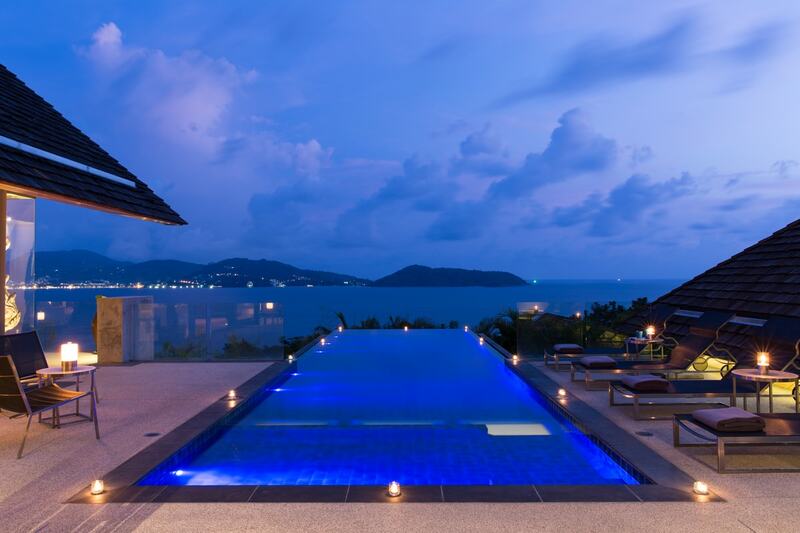 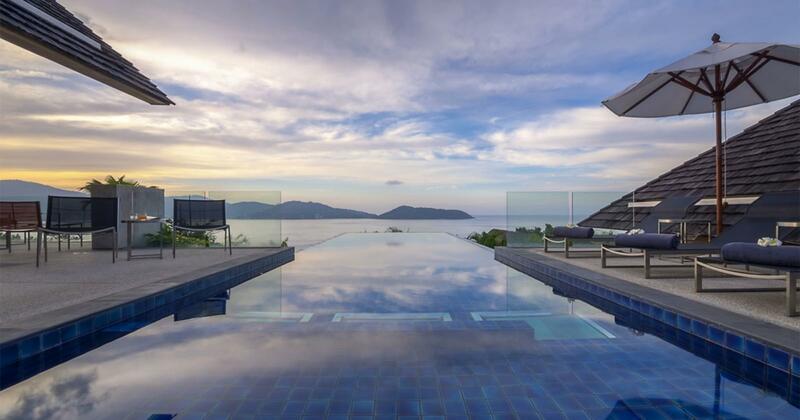 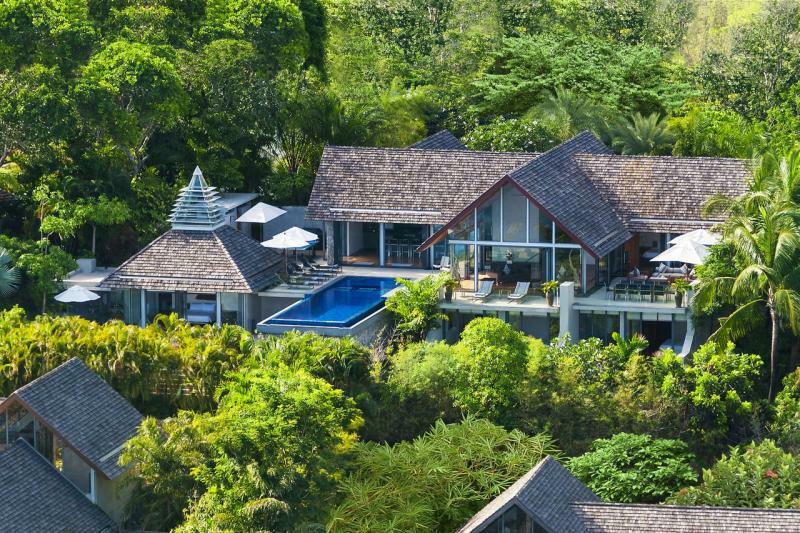 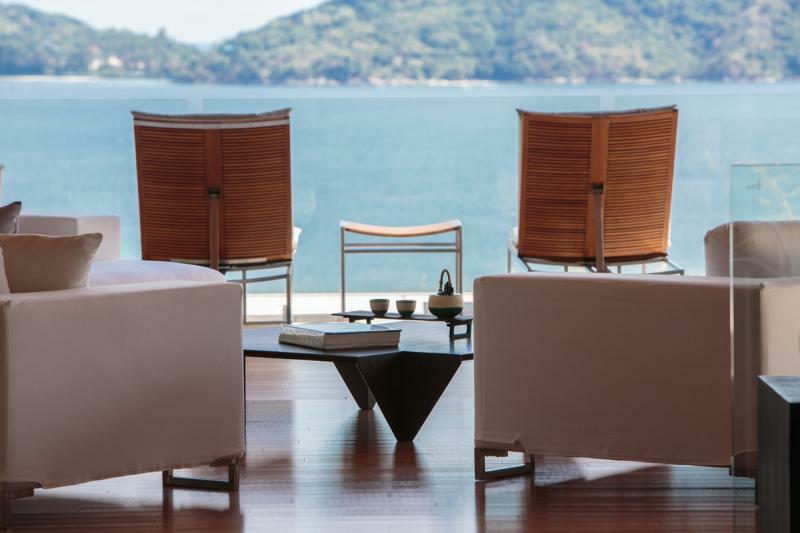 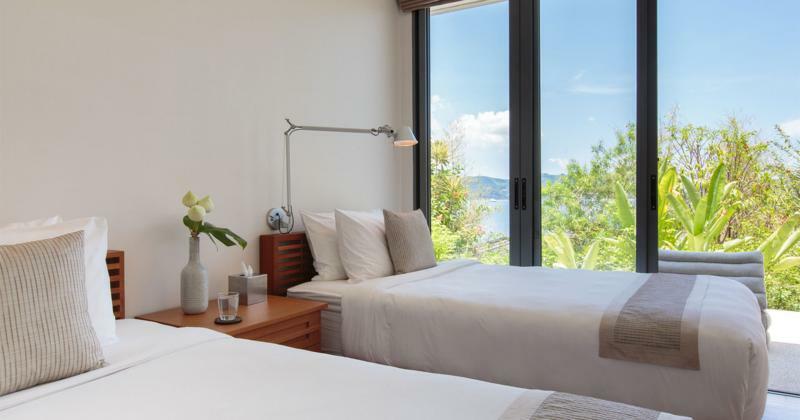 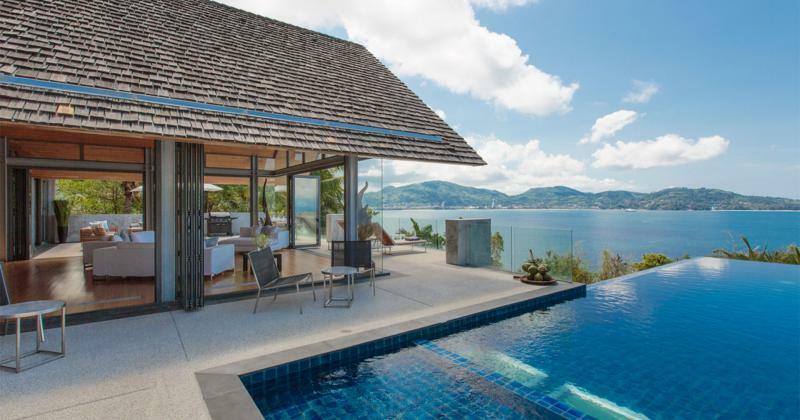 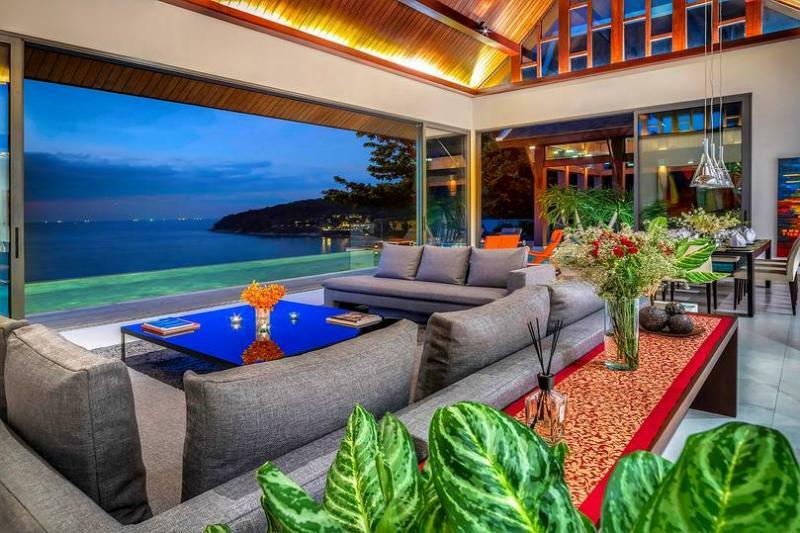 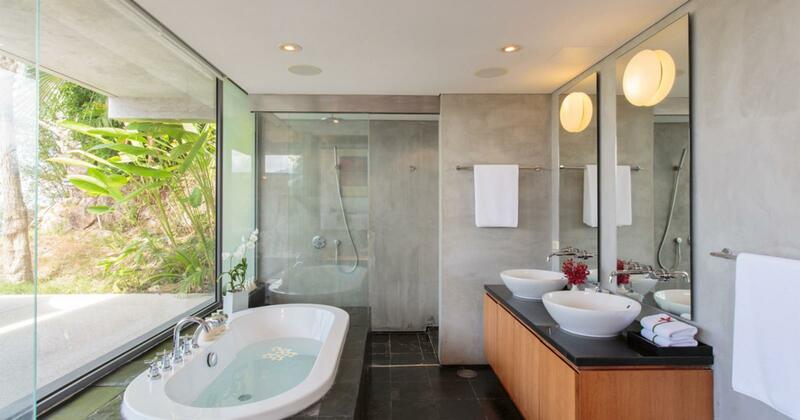 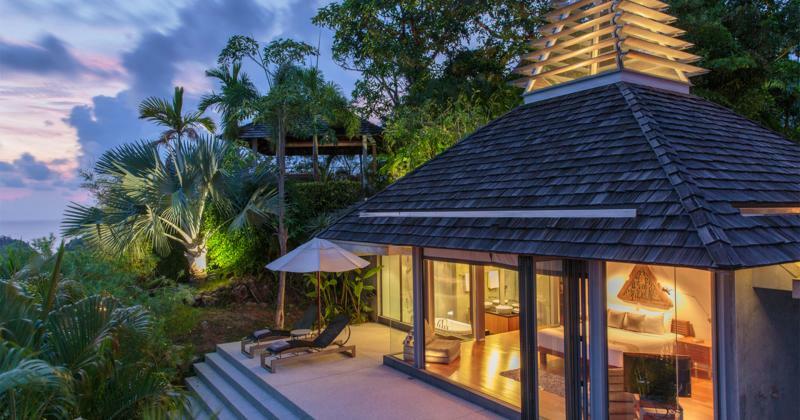 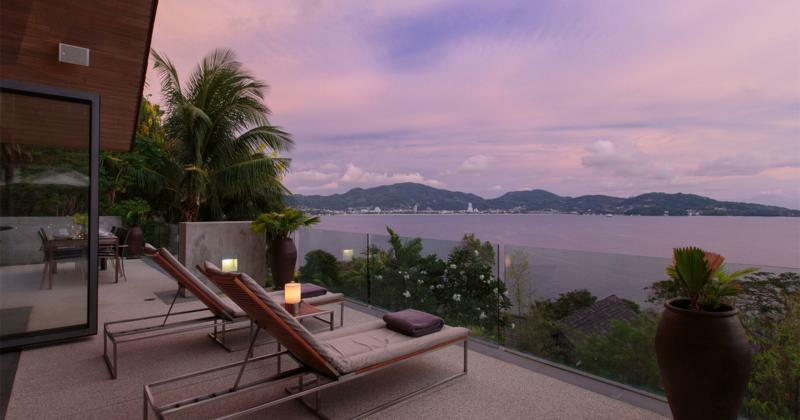 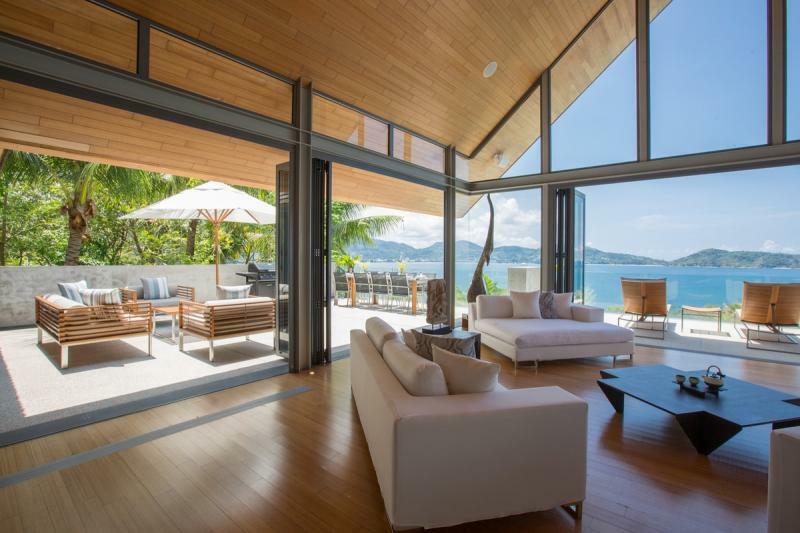 Thailand, Phuket, Millionaire Miles: this stunning super-villa for sale occupies a breath-taking and very enviable location which affords stunning 270 degree sweeping ocean views encompassing the hills, town and beach scapes of Patong Bay out to the open to the Andaman sea and its sunset. 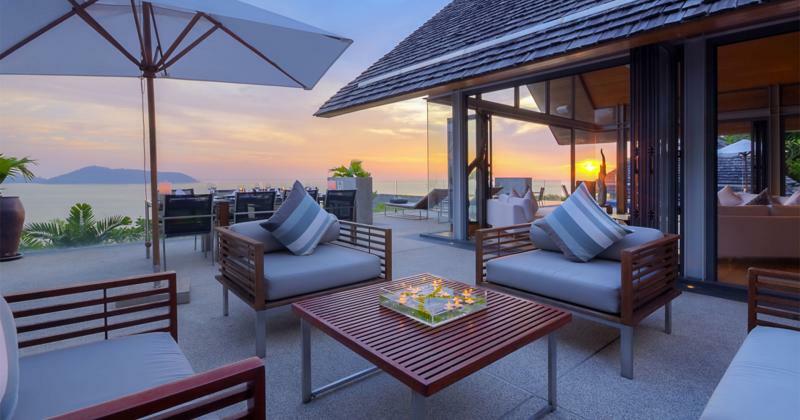 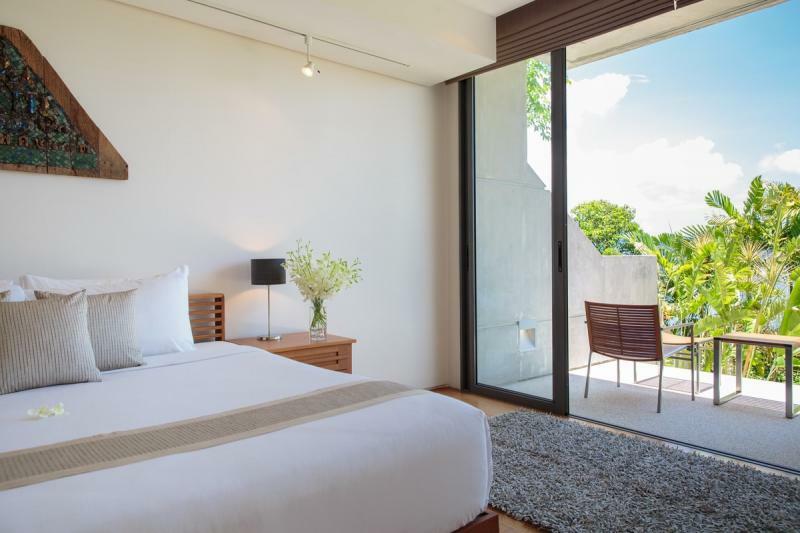 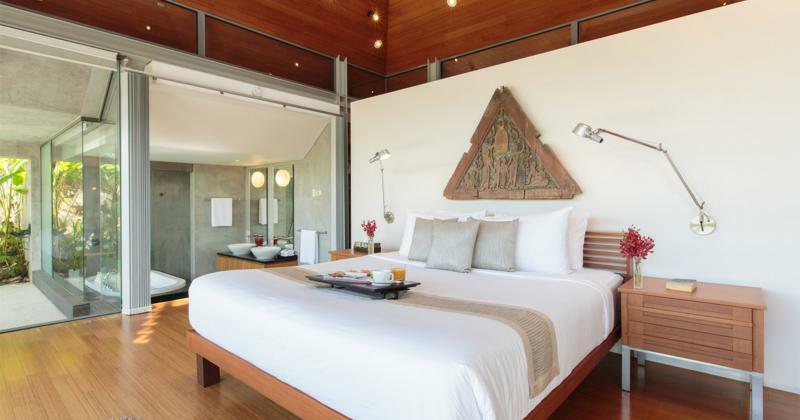 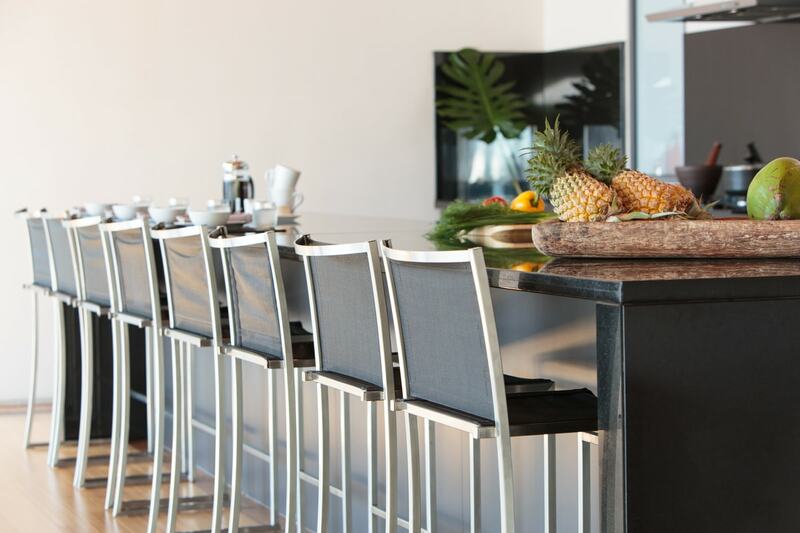 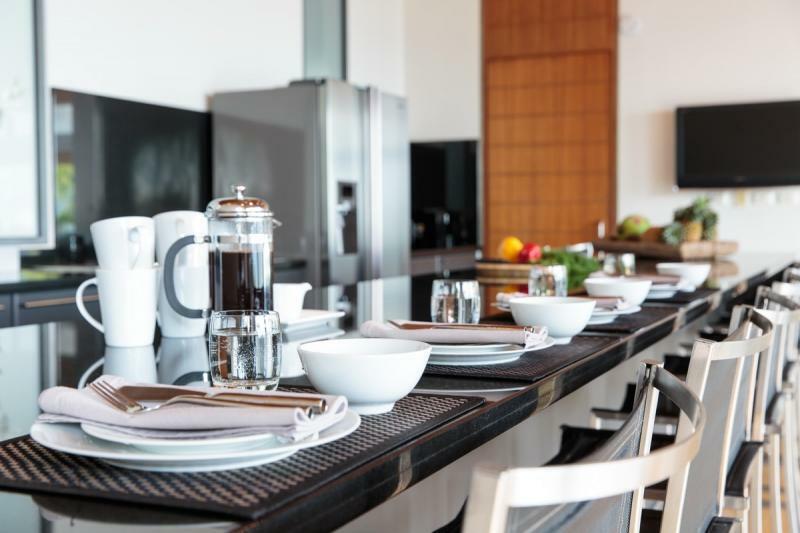 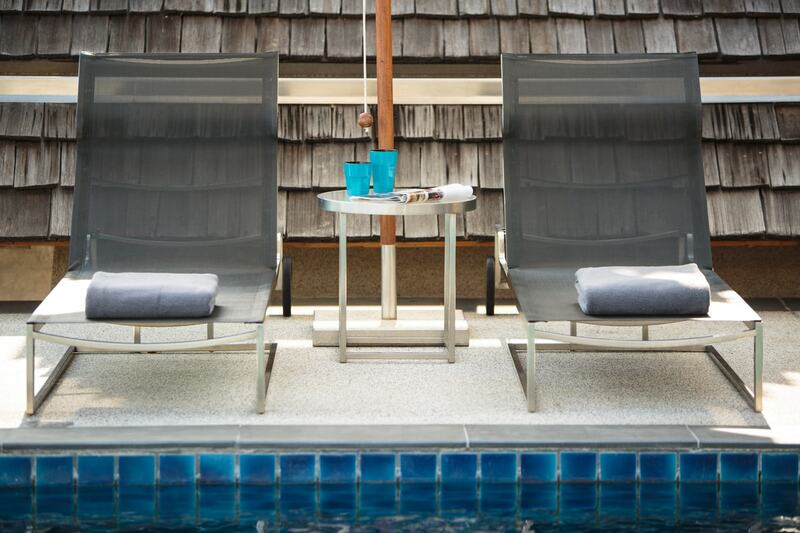 This prime location is unique, situated along the ‘Millionaire’s Mile’ between the world-class Kamala beach and SE Asia’s night-life capital, Patong Beach. 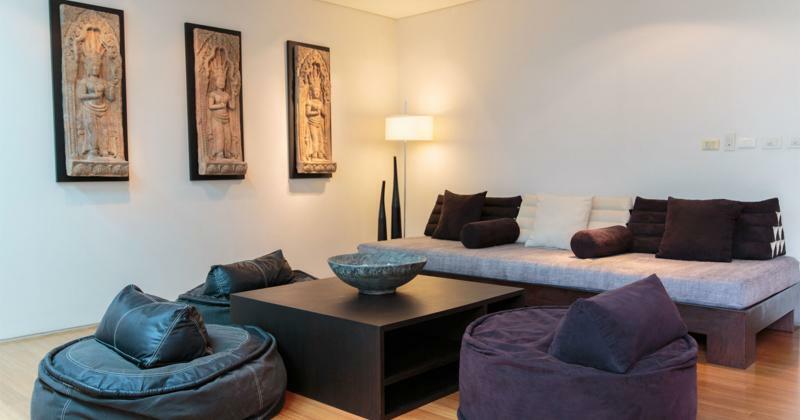 Both are easily accessible within less than 10 minutes drive. 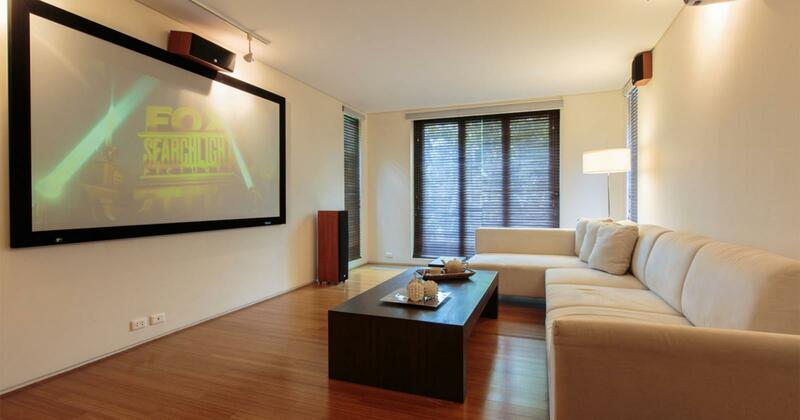 This 5 bedroom property has 800 m2 of living area over 2 main levels. 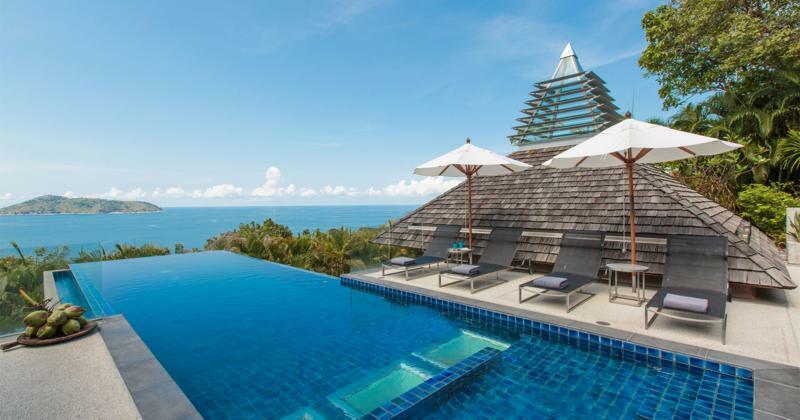 The property is on a plot of 2,980 m2 with Chanote title land under Thai company asset / Freehold ownership (Chanote title is the Thai title deed which enables full and certified private ownership of land). 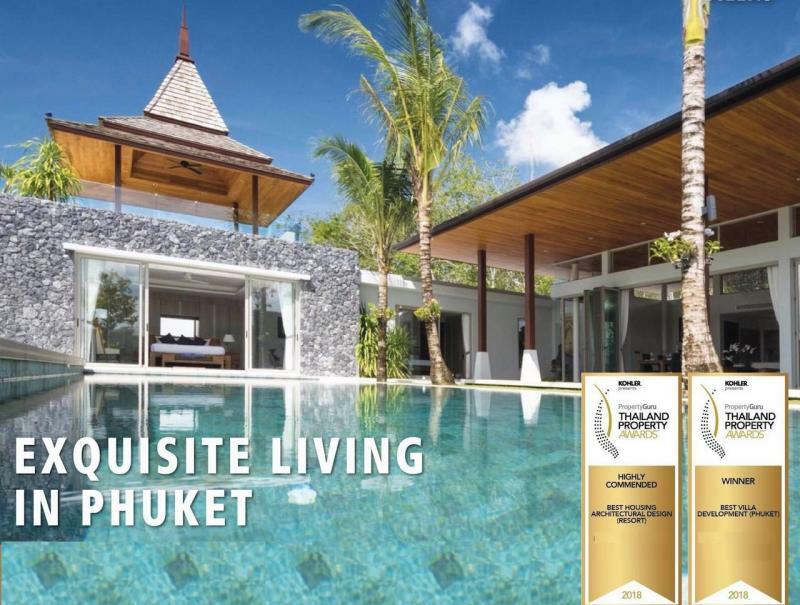 which comprises 2 plots in the estate. 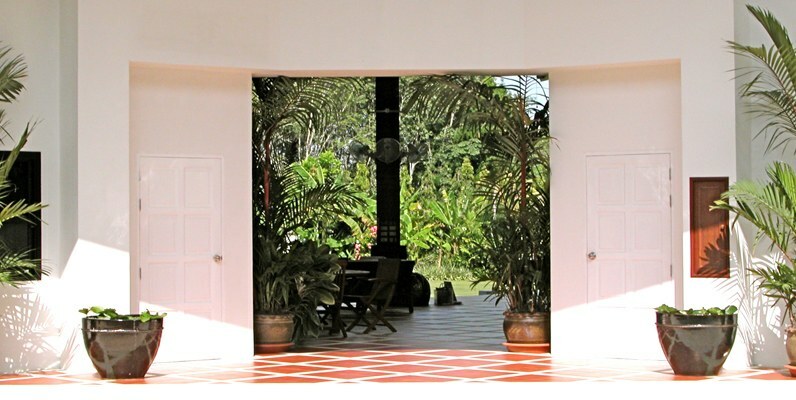 The villa is on a plot of 1,610 m2, and the other plot of 1,370 m2 is used as garden. This additional land plot can be sold on or built upon by a new owner, to either increase the size of the existing property or for a completely new standalone sea view villa. 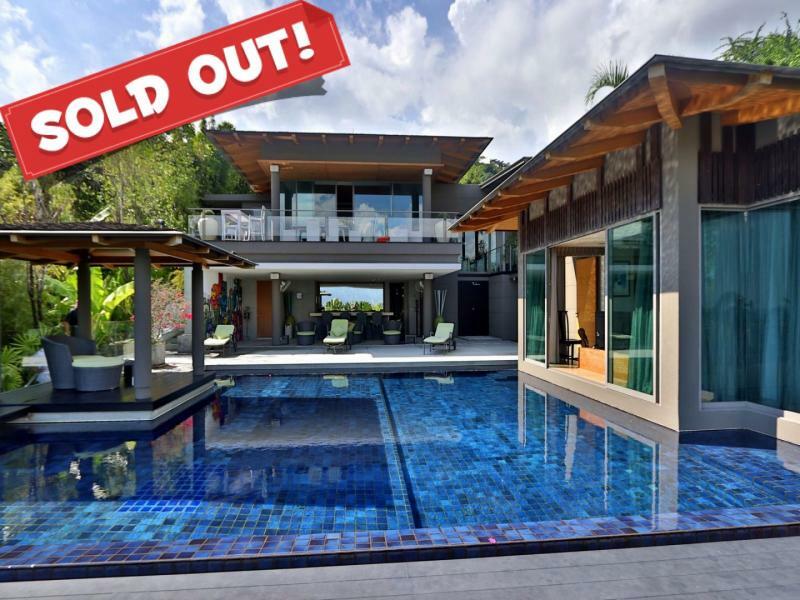 This is a stunning high end luxury villa with 5 bedrooms and breath-taking sunset views, sitting on almost 3,000 m2 of prime sea view land. 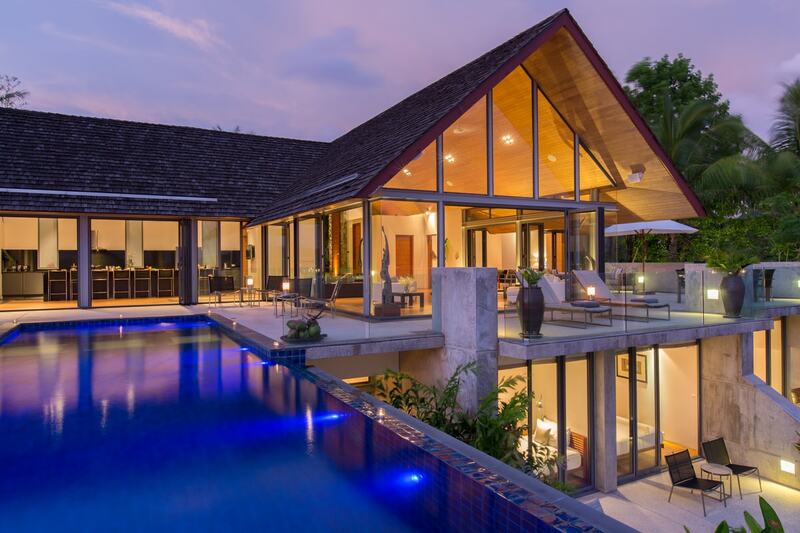 This 5 bedroom property is approx. 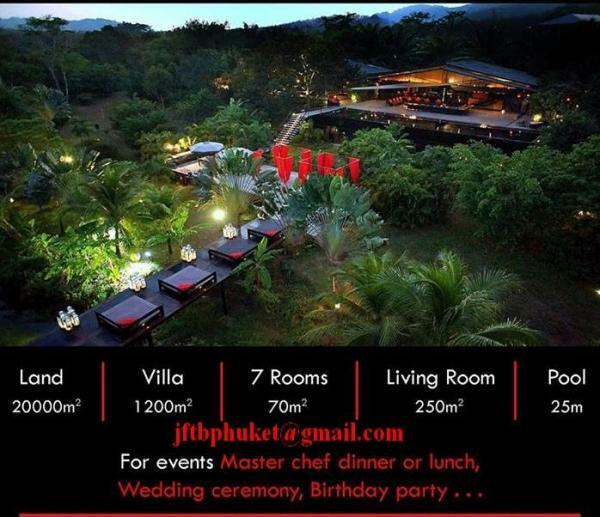 800 sqm of living space over 2 main levels. 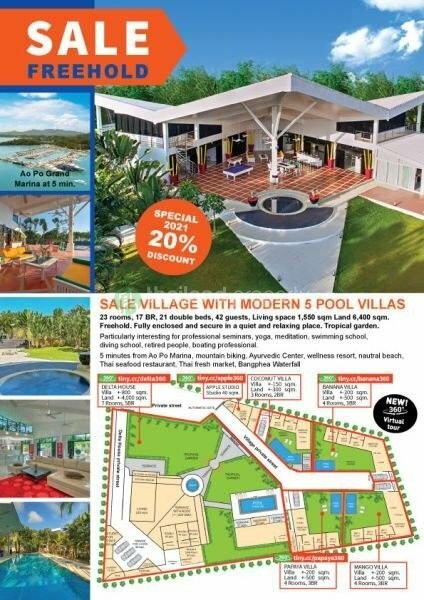 The property is on a total of 2,977 Sq.m of Chanote titled land which comprises two plots in the estate. 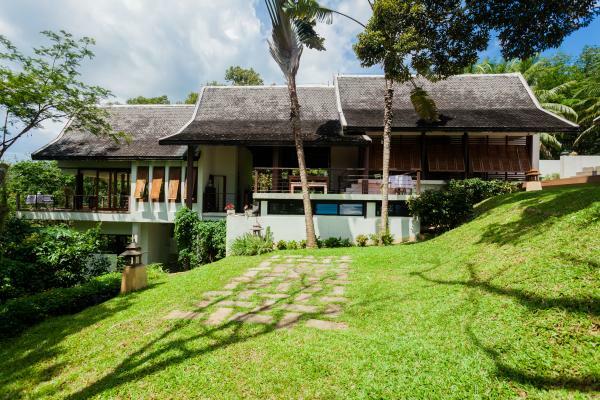 The villa is on a plot of 1,608 sqm or just over 1 rai. 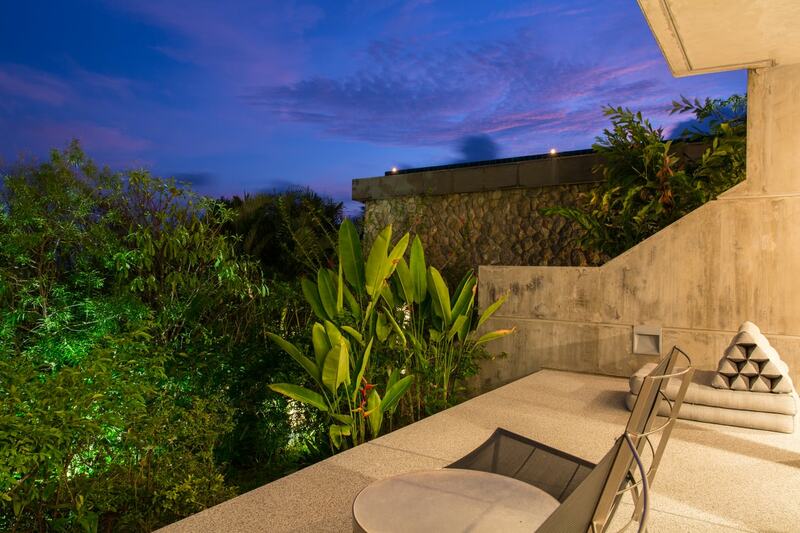 Whilst the other plot of 1,369 Sq.m is currently used as garden. 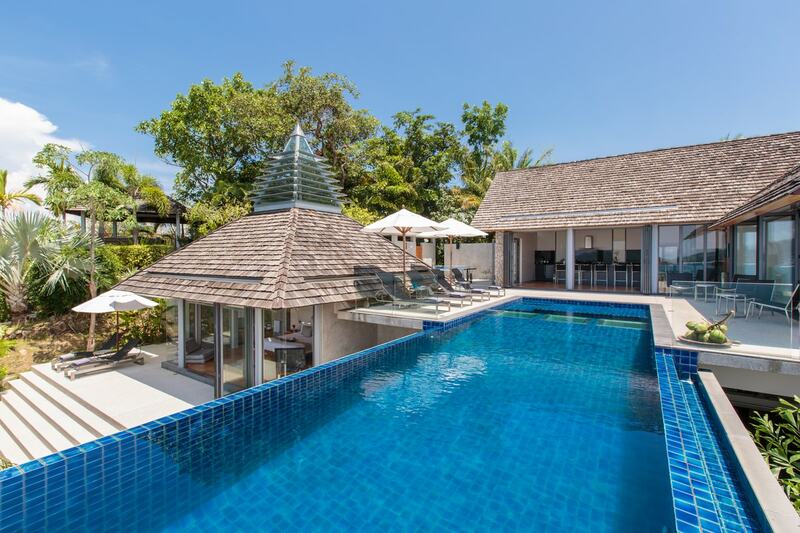 This additional land plot can be sold on or built upon by a new owner, to either increase the size of the existing property or for a completely new standalone sea view villa.